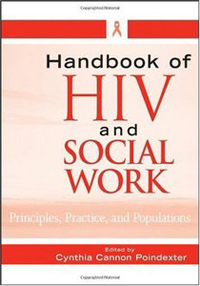 There has not been a handbook or textbook specifically for social workers in the HIV field for almost a decade, and given that the pandemic has changed dramatically during that time, the chapter authors aimed to update the practice wisdom in the social work field. This handbook on HIV-related social services is intended for social work and human services practitioners, managers, advocates, and students. The chapter authors have been involved in the HIV field for years as advocates, educators, case managers, counselors, or administrators. The book is structured in three sections: principles, practices and populations. The first section lays the groundwork necessary to understand all HIV services, advocacy, and prevention. The second focuses on social work practices and how they are used in the HIV field; experienced practitioners and experts were asked to write what they would like other practitioners to know about their methods. The third section highlights some of those populations that have been particularly vulnerable to HIV.